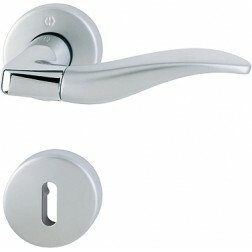 Interior door handle Hoppe Phoenix series on round rose. 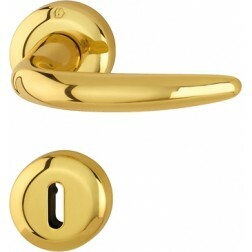 Door handle made of brass, very reistente to bumps and scratches. The components resist up to 10 years. The finish is coated with a protective surface. The design of the Phoenix handle is wavy. Very elegant. With the help of the quick-fit connection you will be able mount these handles alone and in a short time.